Most Alaskans we know live here because they love to get outside and play! Mountain biking has exploded in Anchorage with the construction of 25 miles of new singletrack trails over the last decade by Singletrack Advocates (STA). Now, snow biking has become extremely popular and STA regularly grooms the trails to keep riders happy! 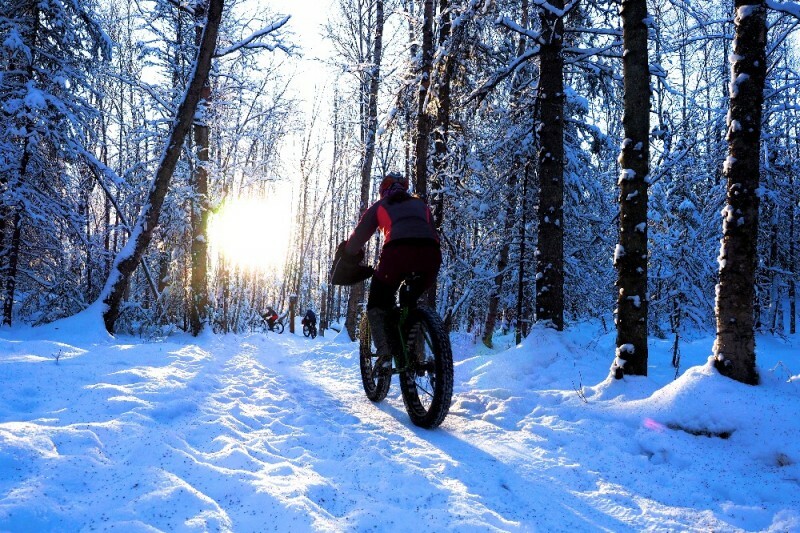 The great thing about snow biking is that it allows outdoor enthusiasts to enjoy their favorite trails year round and also gives access to areas that may be unrideable during the summer months. STA is a nonprofit that was created in 2004 to preserve, maintain, and create singletrack trails in Anchorage. As biking has gained popularity, STA board members and community volunteers have donated countless hours and dollars to make sure trails are in prime condition through the winter as well as the summer months. This means that groups of bikers meet up on a regular basis after snow storms to snowshoe the singletrack trails or drag a car tire behind them to create a packed down tread for biking. In addition, community members use their personal snowmachines and purchase fuel to groom trails throughout the winter. It takes time and money to keep the trails rideable through the winter, and STA is excited to ask the wider community to donate to this worthy cause! Any amount will help support our winter grooming efforts so that volunteers can be reimbursed for their efforts and bikers can continue to enjoy excellent trails year round. If STA gets the most donations through our Go Fund Me page out of the six finalists, 45NRTH will generously donate an additional $3,000 to our organization! Thanks for your support! Hopefully this fundraiser generates snow too. and thanks to Chad and the other groomers?